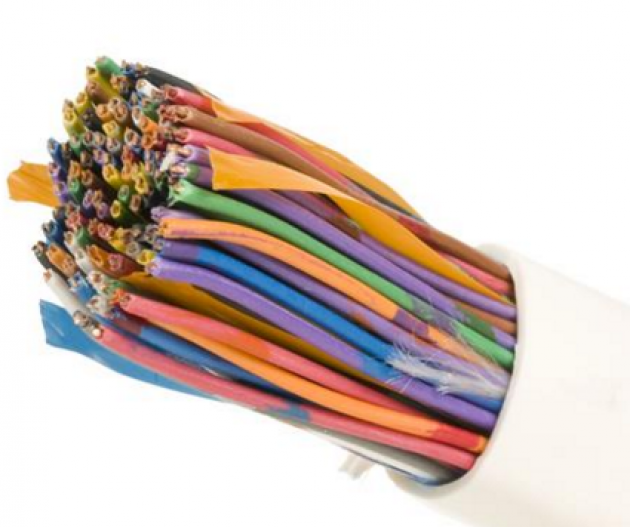 Avalon CAT.3 50 Pair Telephone Cables are made for riser telephone cabling applications as per TIA/EIA-568-C.2, ISO/IEC 11801:2011 edition 2.2 and EN 50173:201 standards. These are constructed with 24 gauge solid bare copper conductors placed inside a PVC jacket. The color coding is very dark and easily distinguished to make for easy punch-down, even in low light conditions.